A black anchor says she was fired from her Mississippi newsroom after she refused to straighten her natural hair. 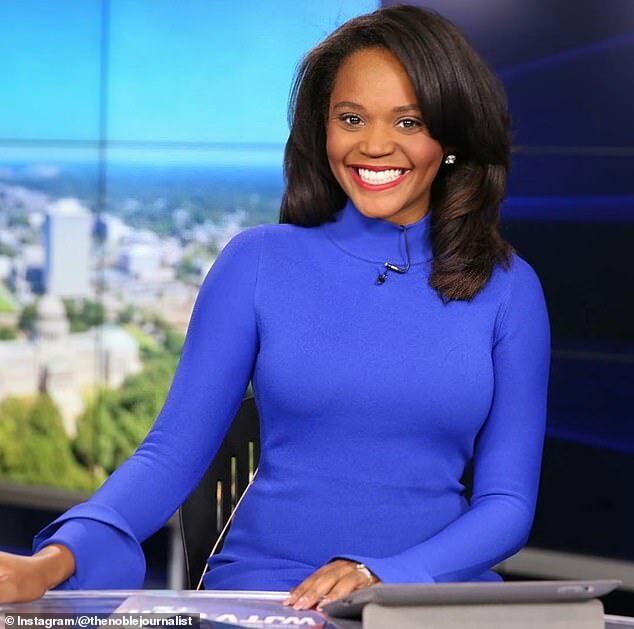 Brittany Noble-Jones was hired on at local Jackson news station WJTV as a morning anchor after notably covering the Michael Brown shooting in Ferguson, Missouri. But last year Brittany was fired from her job, just one month after she filed a complaint about being told to straighten her hair. And while her former employer claims Brittany was fired because she used a sick day to take care of her dying grandfather, she insists it was discriminatory. 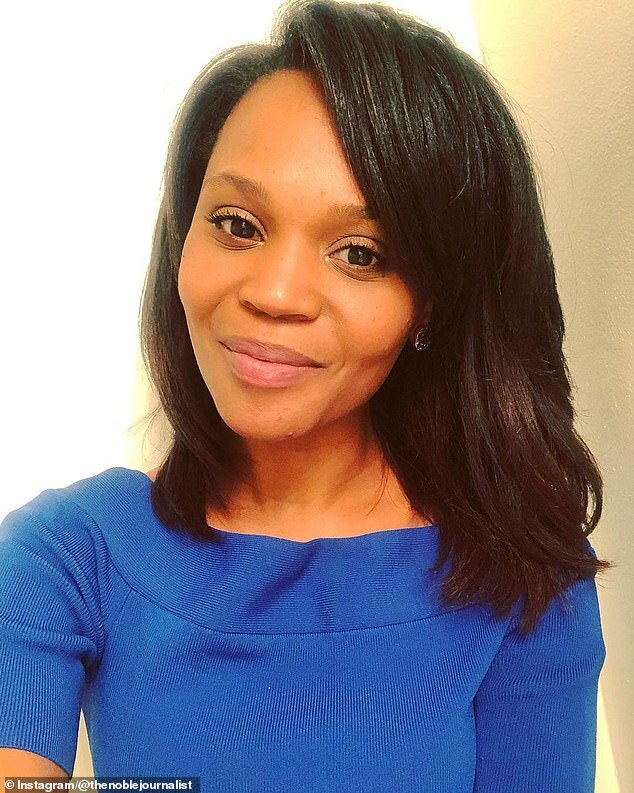 Brittany was left without a full-time news job for eight months until she decided to share her story on Medium about the discrimination she experienced while working in the Jackson newsroom. The issue with her hair started after Brittany gave birth to her son, MJ, and asked the news director if she could stop straightening it. The news director agreed and Brittany styled her natural hair into an updo with a braid at the front of her crown for on-air. 'A month after giving me the green light I was pulled back into [the news director's] office,' Brittany wrote. 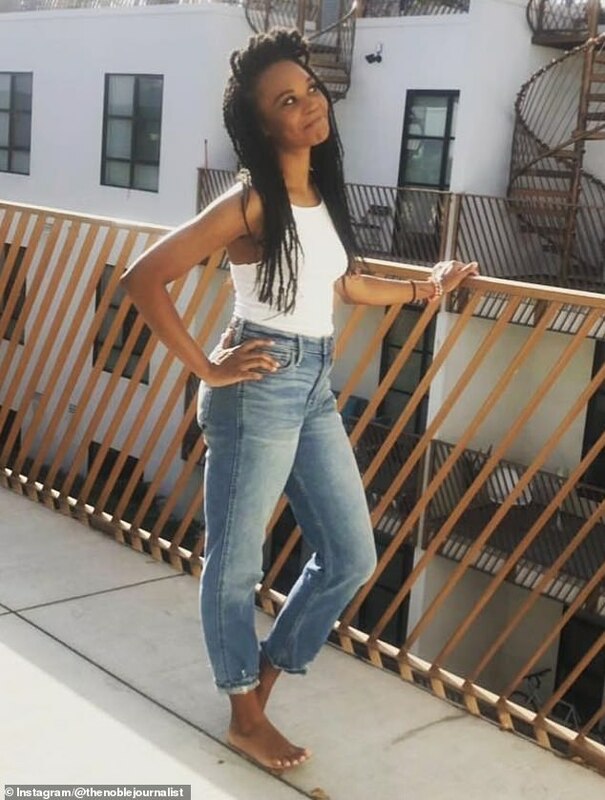 'I was told, “My natural hair is unprofessional and the equivalent to him throwing on a baseball cap to go to the grocery store." Her news director then went on to ask her why her hair couldn't 'lay flat' and told her she needed to go back to her straightened hairstyle. This was the tipping point for Brittany due to the amount of discrimination she experienced while working at the newsroom. 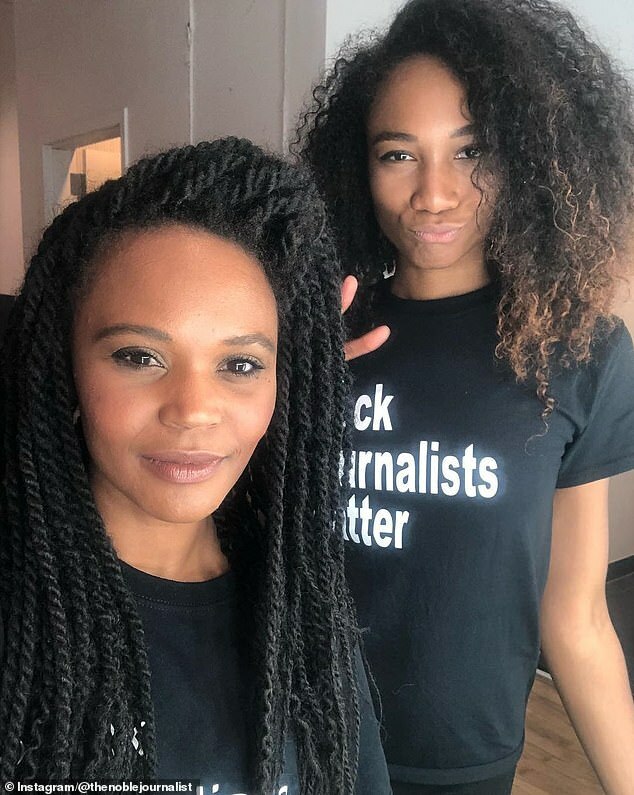 One discriminatory incident Brittany noted was that it was allegedly not allowed for two black anchors to appear on-air at once to avoid projecting a certain 'image' to viewers. This was done even though seven out of 12 on-air staff were black. 'That means station management goes out of their way when scheduling holiday and vacation requests to keep up us from sitting next to each other on the desk,' she wrote. 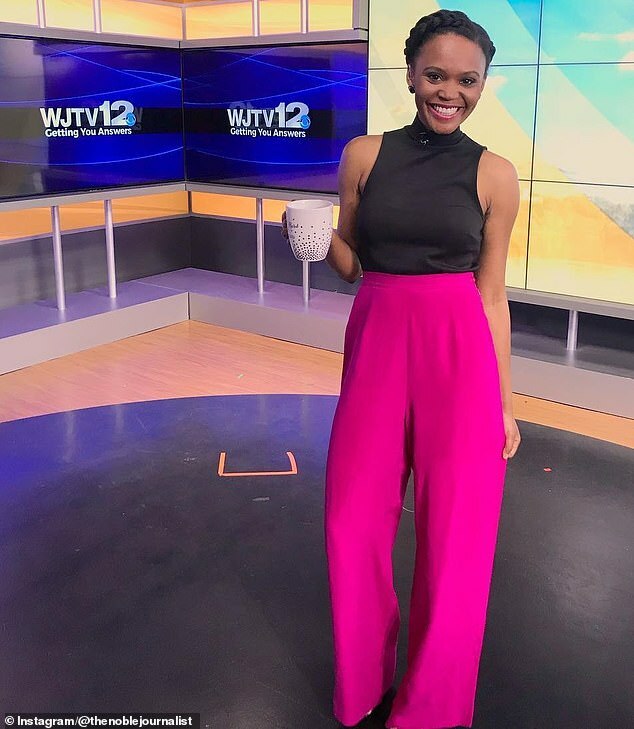 During her time with WJTV, Brittany said her story ideas and pitches about race issues and discrimination were often shot down by her superiors. 'When I pitched stories about race in Mississippi, I was told the stories “are not for all people,"' Brittany wrote. This was despite the fact that Jackson is 81 per cent African American, according to Statistical Atlas. Her final complaint towards the newsroom was the unhelpfulness towards new mothers and their need to nurse during the workday. 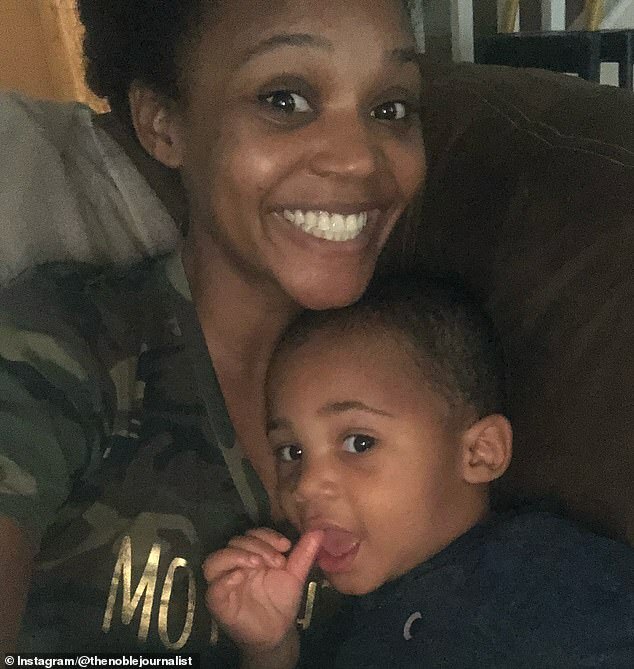 'I was finally allowed to use a storage closet to pump milk for my son six hours after my shift began,' Brittany wrote when detailing her experience as a new mom in the newsroom. In total, Brittany filed two complaints with Nexstar Media Group, which owns WJTV, about the discrimination she experienced in the newsroom. But she said in-house harassment picked up speed after the second complaint and forced her to implore the Equal Employment Opportunity Commission (EEOC) in Mississippi to investigate her claims. At the time, the EEOC warned Brittany that she could lose her job. The EEOC was correct, and Brittany lost her job after taking a sick day to take care of her dying grandfather. 'I believe this is because I filed an EEOC complaint the month before,' Brittany wrote. The investigation and complaints have since stalled due to the government shutdown and her own investigator filing complaints about his own unjust workplace.